Whenever I mention to clients that our we have been installing LED lamps for Landscape Lighting 100% for the last 4 years the reaction is either 1. That is exactly what we wanted or 2. We don’t like how LED looks. Well, the “sea change” has happened and LED Landscape Lighting is here to stay. In fact, we don’t use LED lamps just for new installations, we also use it for almost all service calls with older systems. LED conversions are also one of the most common requests from service call clients. LED Lamps use 75% less power than conventional halogen lamps. LED Lamps last 40,000 – 50,000 hours whereas conventional halogen only lasts 5,000 hours. Based on less power consumption LED requires a much smaller transformer and a lot less wiring in the yard. The original complaint about LED was the Color of the light. It is true that initially (many years ago), the color was entirely too white – almost a blue-ish hue. That is long gone and the color is available in whatever color temperature desired. 2700-3000 kelvin is what is typically found in the house and what almost all good LED lamps are for Landscape Lighting.  If you have any questions regarding your Outdoor Lighting Project then feel free to contact us at Scott@carolina-light.com.